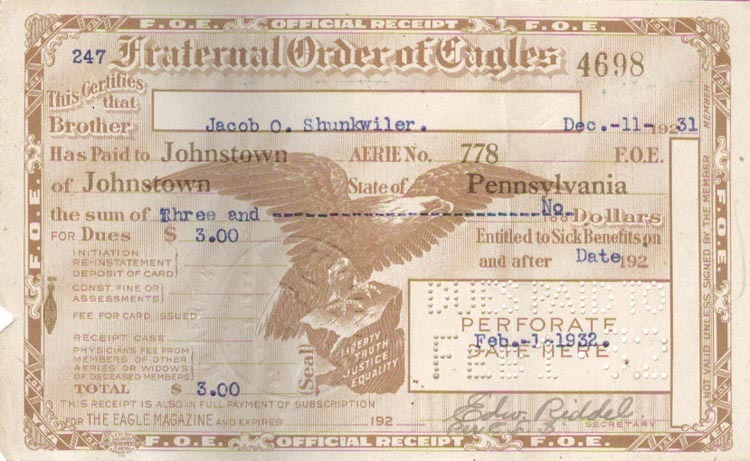 Dues Receipt, Fraternal Order of Eagles, Johnstown AERIE No. 778, of Johnstown, Pennsylvania, Jacob O. Shunkwiler, Dec. 11, 1931. Are you looking for SHUNKWILER ancestors? If so, we suggest posting a query to our Community Message Board to get assistance from other researchers.